Advocates for survivors of domestic violence and supporters of stricter gun control are applauding passage of a new measure included in the new budget for New York State. It requires individuals convicted of domestic violence-related crimes to surrender all of their firearms. This closes a loophole in the existing law that mandates the surrender of only handguns by those convicted of a felony. 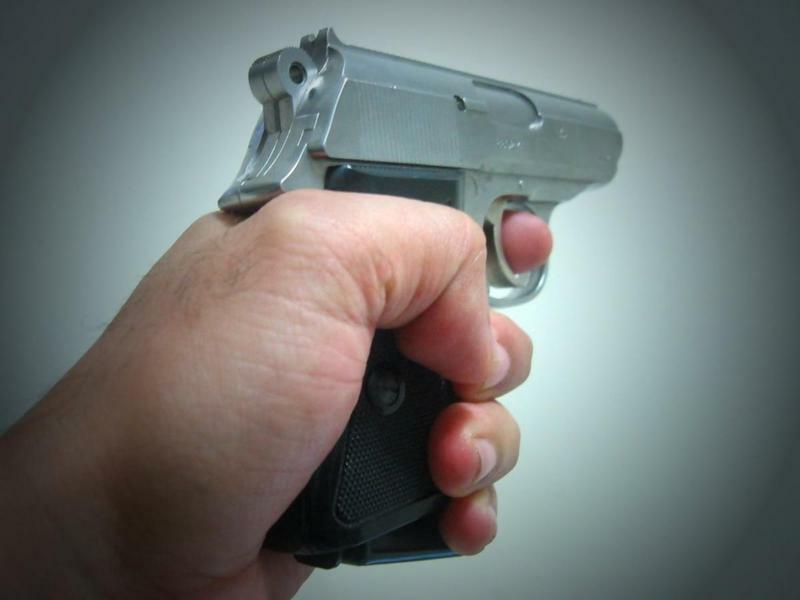 The new legislation bans the possession of all firearms, including rifles, for those convicted in domestic violence cases, even when the charges are misdemeanors. “Even in the land of misdemeanor, survivors of dating and domestic violence still are in great danger because when they go to escape it increases in frequency and escalates in violence,” said Pam Graham, prevention training manager at Willow Domestic Violence Center. When guns are present, Graham said, they up the ante on the danger level in domestic violence situations. Tim Andrews, president of SCOPE, a Second Amendment advocacy group, says his organization supports taking guns away from those convicted of domestic violence, as long as there is due process. “If we’re gonna take guns away from anyone, it should be adjudicated first in the courts. It shouldn’t just be a situation where police show up at the door unannounced, unless there is evidence that a crime is about to be committed or something,” Andrews says. Under the new legislation, gun owners are entitled to a hearing to challenge the surrender of their weapons, but the firearms can be confiscated before a hearing takes place. Police already use their discretion to try to take guns from people accused in domestic violence cases, but Gary Pudup, a member of the group New Yorkers Against Gun Violence and a retired Monroe County Sheriff’s deputy, says the new measure formalizes and mandates that process. The threat of losing the right to own a gun could be deterrent to perpetrators of domestic violence, according to Graham. In some cases, she says, abusers are persuaded to stop their behavior if they are presented with a restraining order. “For other people who are abusive, they feel that they are above any type of law, but losing their gun might be the thing that makes them choose to not do it,” Graham says. Pudup says even more can be done to protect individuals from domestic violence. He advocates for emergency restraining protection orders, which would give authorities the right to remove firearms from people who are not convicted of a crime, but who present a demonstrated threat to themselves or others. The current gun control measure had bipartisan support in both houses of the State Legislature. The bill is now awaiting Gov. Andrew Cuomo’s signature. 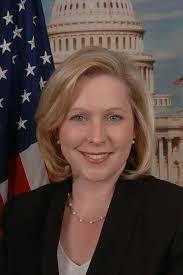 Senator Kirsten Gillibrand says Washington needs to help states tighten the rules against domestic abusers owning guns. 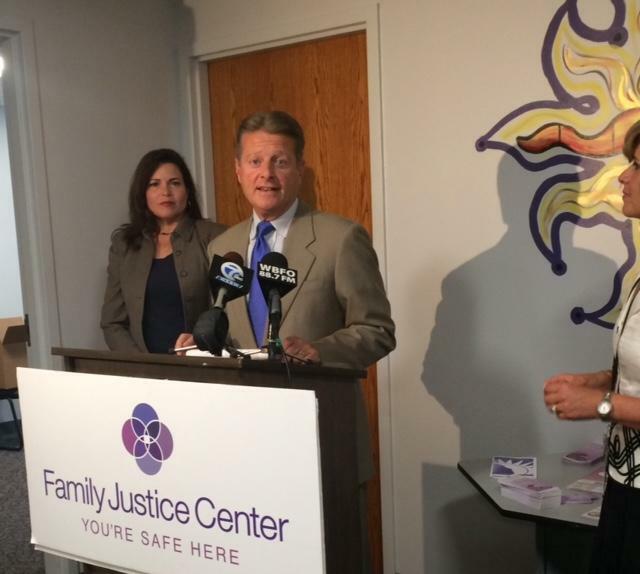 An important tool in fighting domestic violence will remain in place at the Family Justice Center in downtown Buffalo. New York State Senator Patrick Gallivan announced he secured $100,000 to the Center to continue to fund its Forensic Medical Unit. WBFO's senior reporter Eileen Buckley takes a look at how this unit plays a major role in the prosecution of domestic violence cases. WBFO's senior reporter Eileen Buckley takes a look at how this unit plays a major role in the prosecution of domestic violence cases. Governor Andrew Cuomo’s championing of strict new gun control laws in New York has taken a toll on his popularity. A new poll finds that for the first time since taking office, Cuomo’s approval rating has dropped significantly.